Overall a decent place to stay. It was just a few steps from Victoria station. The luggage storage space is useful. Good value for money. Very well-situated having in mind it’s just next the metro station. Staff is very kind, there are venues around 24h working. It is basic but clean and neat. The location at Victoria Square was good, lots of restaurants easy to reach. Despite the sketchiness of the neighborhood where it's located, it's possible to have a decent stay here because of the staff and people you meet while there. If you're on a budget, you really can't complain about what you're getting for the price you're paying. Sure, it isn't the four seasons or the Ritz Carlton but was that reallyyyyyyy what you were looking for here? The place had reliable air conditioning which is more than I can say for a lot of other places I've stayed at. Also they've got ample number of bathrooms which is important. If someone is using the one in the room, you can use one of two out in the common area. There's a refrigerator and place to sit and eat, also not always available everywhere else. Laundry service is reasonably less than some other places. It's 7 rather than 10 Euro. Sheets are clean. All in all, it's really not that bad for the money you're paying. Great place to stay on a budget. Staff were very heplpdul. This hostel has a great vibe! Everyone was friendly and there's a common room to meet and talk with other guests. Also, I did the free walking tour they suggested, which I would highly recommend. The free breakfast was alright - just tea/coffee and cookies - but that's better than nothing! The location is also nice. A bit away from the center of things so it's quieter, but still only a 25 minute walk to attractions or a couple metro stops away. There's also food and supermarkets nearby to buy stuff. 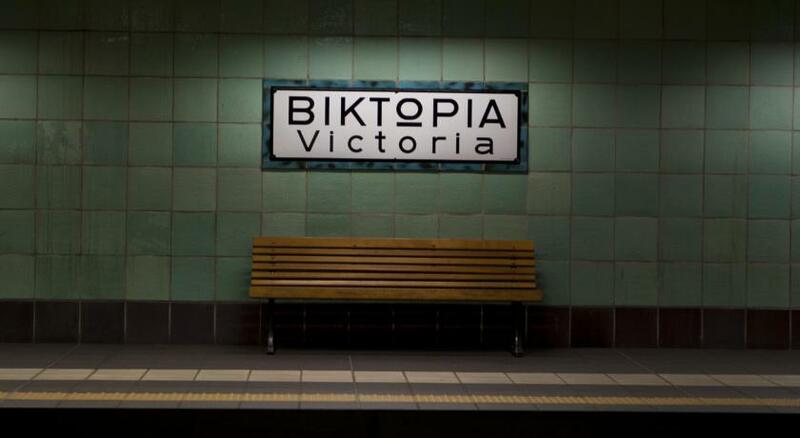 Its 2 mins away from the Victoria metro station, on the same line as the Pireaus Port station, and fairly easy to take to the city centre. There's a post office and 3 good cafes in the neighbourhood. The common room is quite good sized with tables and chairs, perfect for working with a computer. 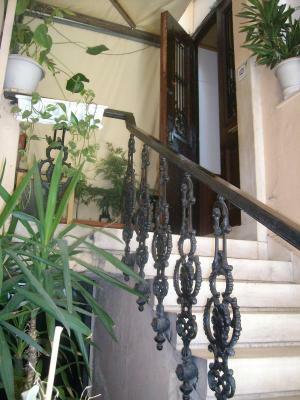 Perfect location exactly in the center next to the metro close to city masterpieces many restaurants and less than half hour to the Athens main port . One of our best sellers in Athens! 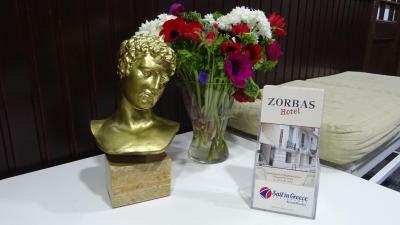 Zorbas Hostel is centrally located in Victoria Square, only 350 feet from the National Archaeological Museum and the metro station. It offers 24-hour reception and free Wi-Fi in public areas. Guests at Zorbas can choose between private rooms or beds in a dormitory. All rooms include air conditioning and a TV. 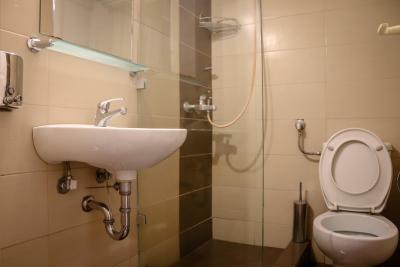 Each private bathroom is fitted with a shower. Zorbas Hostel features a bar operating during the warm months. Guests can use the communal computers with free internet. Restaurants, bars and shops can be found within a short stroll from the property. Acropolis, Plaka and Monastiraki area can be reached at 1.6 mi. Free public parking is possible nearby. 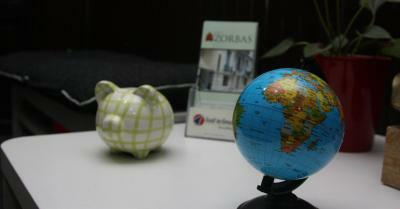 When would you like to stay at Zorbas Hostel? Featuring a private bathroom with shower, this room offers air conditioning and TV. In this room type, guests can book a single bed and share the room with 5 more people. 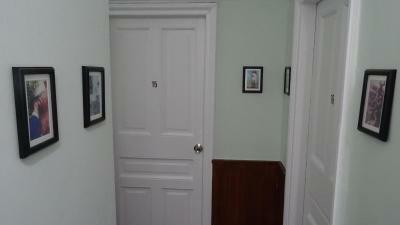 This room offers air conditioning and a shared, private bathroom with shower. 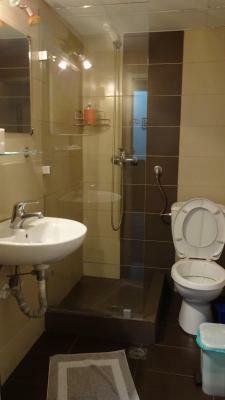 Air conditioned room with private bathroom with shower. Please note that the guest is sharing this room with another 3 guests. This bed in dormitory has a patio, microwave and dining area. This bed in dormitory features a microwave, patio and dining area. This bed in dormitory has a dining area, air conditioning and microwave. 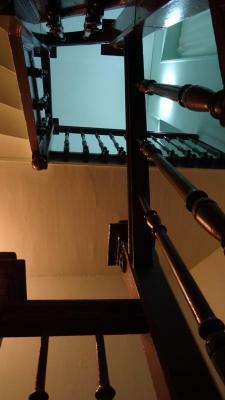 House Rules Zorbas Hostel takes special requests – add in the next step! Zorbas Hostel accepts these cards and reserves the right to temporarily hold an amount prior to arrival. For the price you pay, the quality of the place and the location are just amazing. 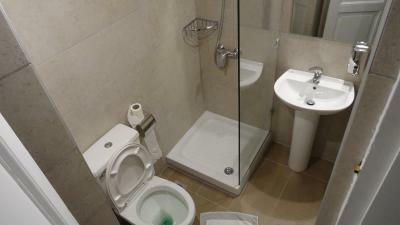 Very clean, nice toilets and hot showers. Good WiFi. Free coffee and cookies for breakfast + you have access to a fridge, microwave, water boiler, plates, cups, etc. (no cooking possible). 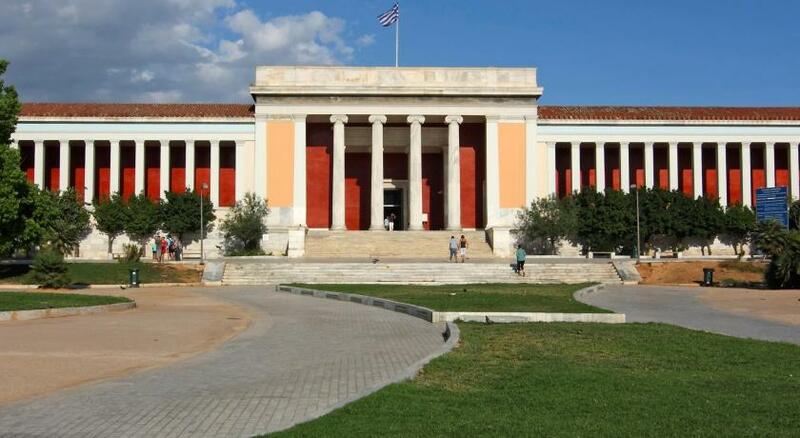 The location is perfect, there is everything around, and you can walk to a lot of places in Athens. + the metro station is right here. Very bare-bones facilities - small and cramped rooms, hardly any common space to speak of. Not very comfortable and cleaning was inadequate - the room smelled damp and wet the entire time I was there and cleaning staff did little more than spray Febreeze. Was okay for what I needed (just a place to crash somewhat near Gagarin 205) and given that I booked quite late before my trip, but I don't really recommend it unless you have no other options. Location was quite good for my needs - both walking between the music venue I was attending (Gagarin 205) and the Acropolis. Price was low. It need to be clean enough, every time entered my room I had to take a time to get used to the unaired room smell was so bad. Never felt comfy at all. Overall, no worth to visit again. The toilet/bathroom was a bit messy. The floor was wet after a shower. The bathroom was a bit messy. At times, it was quite loud in the hostel. The location was great. Safe and very close to the metro station. The service of internet very bad. The top bunk was uncomfortable, bathrooms can be a bit small and can get dirty if people wear shoes inside. The staff were ok - did not try to help. The street can feel a little shady at night. I actually got my bags stolen by a street thief over the new year countdown celebrations at Monastraki, so I only stayed here one night before, and stayed at another nearer hostel with a friend. Overall I don't think Athens as a city deserves tourist money if they don't protect the safety of their tourists. Better to go to Scandinavia or Asia - far cleaner, safer and beautiful countries - and avoid crime-ridden cities like Athens altogether.